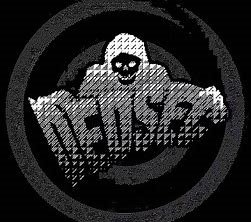 The Empire of Deadsec is a nation led by Emperor Justin The Great on the continent of Europe. The Empire of Deadsec's government is a Communist Monarchy with very conservative social policies. Economically, The Empire of Deadsec favors far left wing policies. The official currency of The Empire of Deadsec is the Bitcoin. At 179 days old, The Empire of Deadsec is a mature nation. The Empire of Deadsec has a population of 1,846,603 and a land area of 18,700.00 sq. miles. This gives it a national average population density of 98.75. Pollution in the nation is a disaster. The citizens' faith in the government is completely depleted with an approval rating of 0%. We are very Proud Nation that want to make a impact on the world by influencing Communism on other countries and believing that there will soon be a communist revolution soon to come and that you should join before it's too late. 04/20 05:37 pm - Deadsec changed their Color Trade Bloc from Red to Yellow. 04/15 04:14 am - Deadsec changed their Color Trade Bloc from Pink to Red. 04/15 02:49 am - Deadsec created the alliance The Socialist League. 04/15 02:47 am - Deadsec left the alliance Ming Empire. 04/10 05:28 am - Deadsec changed their Color Trade Bloc from Red to Pink. 04/10 05:13 am - Deadsec applied to join the alliance Ming Empire. 04/10 05:13 am - Deadsec left the alliance United Socialist Nations. 04/09 03:19 pm - Deadsec declared war on The HRE for the reason of "Say hello to my little friend!". 03/17 03:53 pm - Deadsec changed their Color Trade Bloc from Gray to Red. 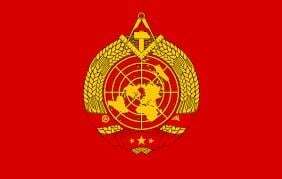 03/11 04:42 am - Deadsec applied to join the alliance United Socialist Nations. 03/11 04:41 am - Deadsec left the alliance The Socialist League. 03/11 03:41 am - Deadsec had war declared by Lupinia for the reason of "Bad Micro police wee-woo!". 03/11 03:39 am - Deadsec had war declared by United States of Murica for the reason of "Nice WC bro. Join a real alliance.". 03/11 03:38 am - Deadsec had war declared by LolWaffle for the reason of "ChromoSade coming in hawt". 03/11 12:47 am - Deadsec created the alliance The Socialist League. 03/11 12:39 am - Deadsec left the alliance United Socialist Nations. 03/08 10:19 pm - founded a new city, Venice. 02/28 02:33 pm - Deadsec ended the embargo placed on ranau. 02/28 02:33 pm - Deadsec ended the embargo placed on Patriotic States of America. 02/28 02:33 pm - Deadsec ended the embargo placed on Imperium Radykalnej Polski. 02/05 05:28 pm - Deadsec ended the embargo placed on Kingdom of Ice. 02/04 06:56 pm - founded a new city, Vatican City. 01/31 09:56 pm - Deadsec placed an embargo on Kingdom of Ice. 01/30 04:35 am - Deadsec declared war on Kingdom of Ice for the reason of "Conquest". 01/28 04:20 pm - Deadsec placed an embargo on ranau. 01/26 03:43 am - Deadsec placed an embargo on Patriotic States of America.